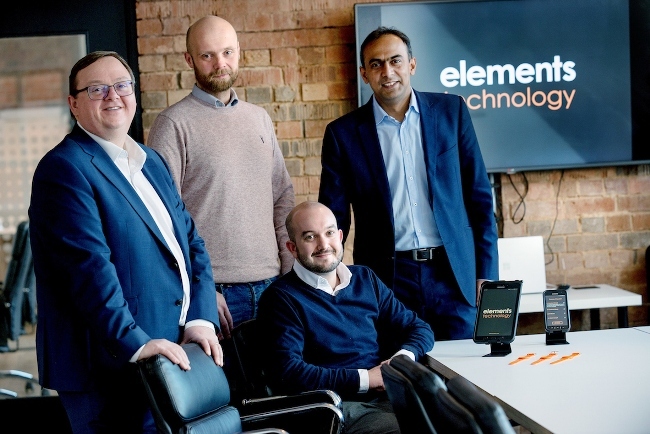 The Northern Powerhouse Investment Fund (NPIF), has invested £250,000 to support Elements Technology Platforms Limited in its mission to develop its headquarters, staff base and product portfolio. The investment was made by NPIF – Mercia Equity Finance which is managed by Mercia Fund Managers and part of the Northern Powerhouse Investment Fund. Founded last year in Sheffield by Dr. Joe Handsaker, Elements is an Internet of Things (IoT) solutions provider for small and micro manufacturers. The business is developing software solutions that re-purpose consumer technologies for use in manufacturing, with a specific interest in exploring opportunities for wearable technologies in the sector. Elements’ revenue model is to sell low-cost hardware, including smartphones and off-the-shelf proximity sensors for tagging manufacturing materials and to then charge a monthly subscription service fee for the products. This platform will enable small-sized manufacturers to improve their productivity without huge expenditure or the burden of an overly-complicated Material Requirements Planning system. The company is already on the path to elevating its business; in March 2018, it won the ‘Digital Catapult Hack and Pitch’ competition at the Industry 4.0 Summit and has since met with the directors of the Rolls Royce EcoSystem and IoT divisions, in a bid to improve supply chain transparency. The £250,000 funding will support the company’s product portfolio by creating advanced prototypes and validating its market offering. The NPIF investment, which is the only external finance that the company has raised to date, will also be used to secure a premises in Sheffield and hire four new technical and sales staff members. Since its launch in February 2017, NPIF has delivered Microfinance, Debt Finance and Equity Finance, ranging in size from £25,000 to £2m, to businesses across the 10 Local Enterprise Partnerships (LEP) that make up the ‘Northern Powerhouse’ region. Sean Hutchinson, senior manager at British Business Bank, said: “Elements is a truly unique and impressive business that is exploring opportunities for wearable technologies in the manufacturing sector. The company is already on the path to success, having won an Industry 4.0 Summit award and liaising with high profile businesses such as Rolls Royce. “We’re delighted that NPIF has supported Elements in its mission to target UK based companies with IoT solutions, that will help save costs and improve productivity by providing an insight into consumer behaviour and enhance consumer interactions.